Once a Genesis OPC Project is either setup (see here for details) or loaded ( see here for details), the Data Acquisition can be started. Note that the icons 'OPC Data Listing' and 'OPC Data Charting' are still grayed as no OPC data is available. 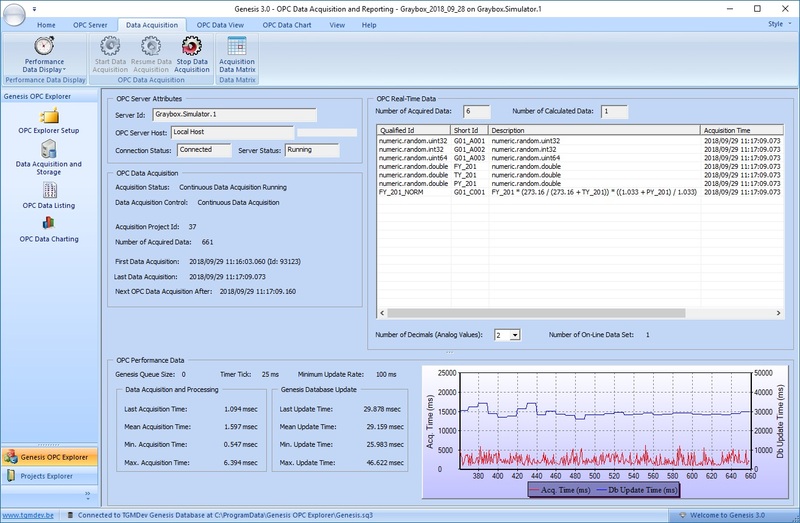 In that mode, data acquistion is started directly and will run continuously. Once the session is finished, the data acquisition have to be stopped manually. 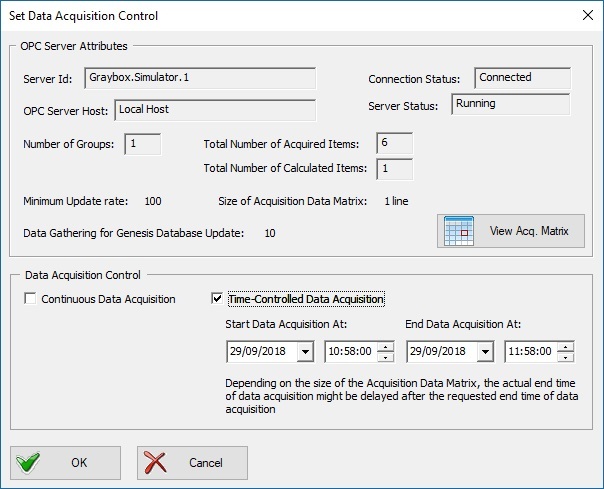 In that mode, the start time and end time of data acquisiton can be selected before the start of acquisition. 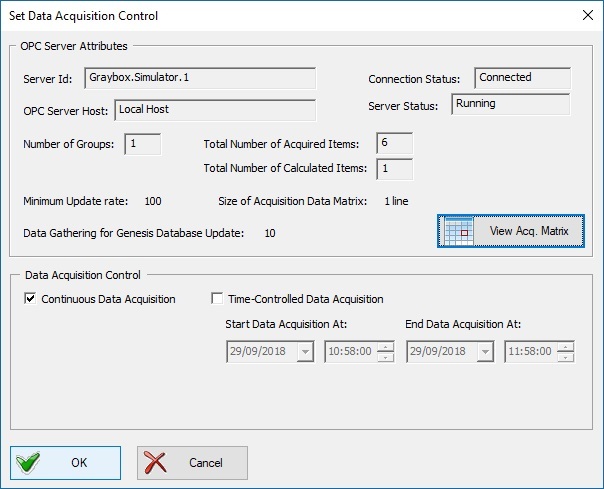 Genesis OPC Explorer 3.1 will start data acquisition at requested start time and will automatically stop at the requested end time. Click on the different elements (draw in blue) below to view localization of OPC Acquisition Information.